A gentle Christmas Lullaby with new words by William Hastings. This version may be sung in unison but has an optional second part. 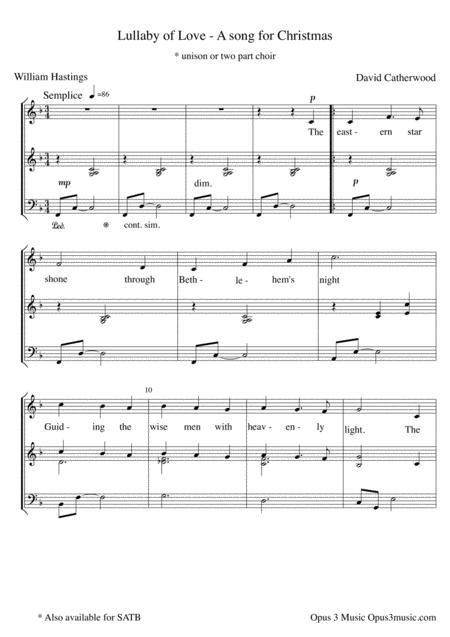 It is also available from Sheetmusicplus in a SATB version.